A conversation with Uli Imhoff. Uli Imhoff Heine shares insight about the importance of engineering companies embracing social responsibility and how it can impact the bottom line as well as help with employee retention. 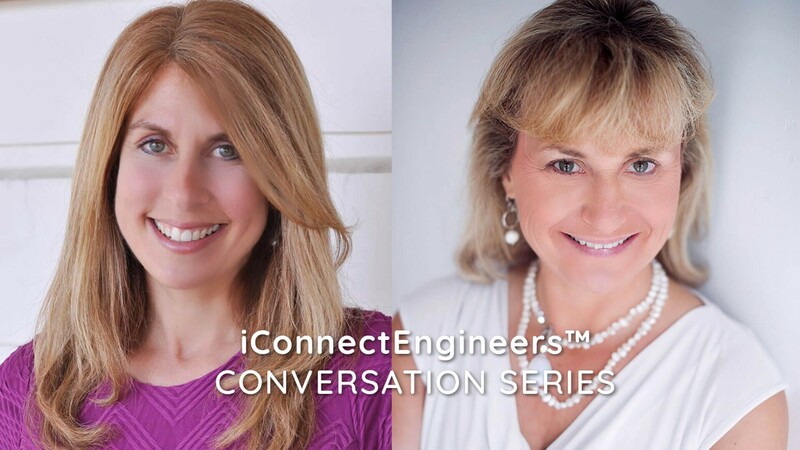 iConnectEngineers™ recently invited Uli Imhoff Heine from Project Concern International (PCI) to talk about the benefits of getting involved in humanitarian projects. She said it’s an excellent way for middle-sized corporations to differentiate themselves. During the interview, Uli also talked about PCI and highlighted some of the opportunities available for engineering companies to get involved in the non-profit organization’s Barrio Mio program, which is working to transform high-risk urban neighborhoods into resilient, safe and productive communities. Stacey: Can you please share the story about how PCI was first started by Dr. James Turpin? Uli: Project Concern International was started 55 years ago right here in San Diego where we are headquartered. Dr. Turpin had a flourishing practice in Coronado where he served a lot of navy military personnel back then. One day, he went out to volunteer in the community in Tijuana, just across the border about 25 miles from here. He had an “epiphany,” as he called it, as he was saving the lives of two children who were afflicted with double pneumonia. He saved those children’s’ lives that night and felt that no longer could he just have this flourishing practice in Coronado. He wanted to give back; he wanted to serve other people in need not only in Tijuana but across the world. Stacey: At the present time, it is very difficult to directly tie in the socially responsible activities of a firm to its bottom line. What are the motivating factors behind companies jumping on the corporate social responsibility bandwagon? Uli: I would challenge that assumption actually. There have been studies done recently that show that as much as there is the triple bottom line that a lot of people talk about, there can be a real effect, if done strategically, on not just productivity of employees but also the bottom line in terms of sales. There have been studies that show that there is direct financial impact but more importantly, the impact on the employees is significant. What I mean by that is not just that they have a sense of feeling good about working for the company but it has to do with retention. We all know how expensive it can be to rehire and retrain people. If you look at millennials, young people who are entering the corporate world, there is almost an expectation that the company is offering time off to volunteer somewhere; they are expecting their company to be involved in a socially-responsible way. I think there is really a big case to be made why corporate responsibility is something that a corporation that wants to be a big player has to embrace. Look at all the big brands — UPS, Nike, Starbucks, Google — everybody is doing it. If you want to be a sizeable name in your industry, you want to be on the forefront of that. That’s not just how it relates to large corporations. It’s really a way for middle-sized corporations to differentiate themselves. Stacey: Is there a project that PCI is currently involved with that is tied to the engineering industry? Uli: We have a large project right now with CEMEX, one of the biggest cement companies in the world. It’s our Barrio Mio program, which we started in Guatemala, but we are now implementing in Tijuana and want to expand to the rest of the world. As we know, half of the population today is living in urban centers and that number is just increasing. That’s coming with great challenges for these urban centers. We work with municipalities, the private sector, universities, companies and local organizations to really upgrade high-risk informal urban settlements into safer, healthier and more resilient neighborhoods. We’re not talking specifically about any huge financial contribution but we’re talking about in-kind time of both labor and materials — things that directly relate to the engineering world that we are involved in have a lot to do with water and sanitation, for example. There are a lot of projects potentially within our work that could directly relate to engineering firms. Stacey: How can an engineering community partner support PCI through its humanitarian projects? Uli: There are many ideas that we have and we would tailor-make a program for any company that is interested in partnering with us. There are many different reasons why I’m excited to get engineers involved in this Barrio Mio program. During the interview, Uli also discusses potential contract opportunities that might be available through the Barrio Mio program. Originally published at www.iconnectengineers.com on January 17, 2017.